Home security is important, and can be surprisingly inexpensive to set up too. Technology has come a long way in this respect, and the home security camera systems of today can record everything within range in the highest quality resolution. You should not wait until an intruder comes along, sees you are an easy mark for you have no outdoor security cameras, and breaks in, taking what he wants. Please note this review is for “outdoor cameras” only. 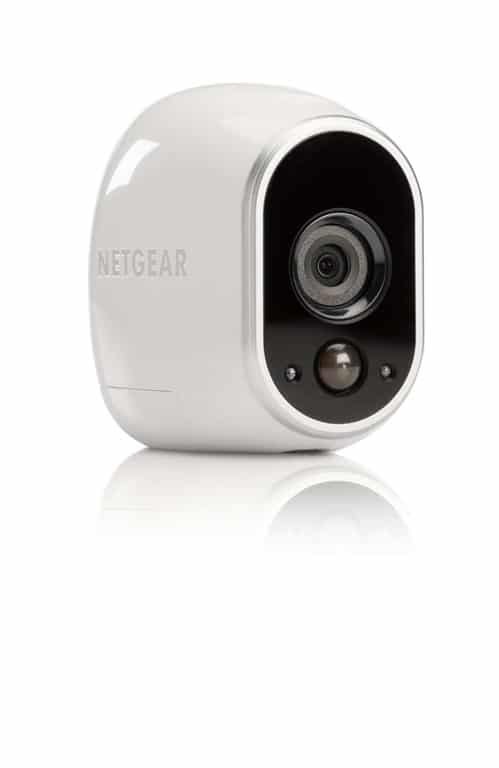 Follow this link to read about the Top 3 Wireless Home Security Cameras – Indoor Only. Prevention is better than cure, and right now is the best time to start investigating the best home surveillance cameras and security solutions for protecting your home. 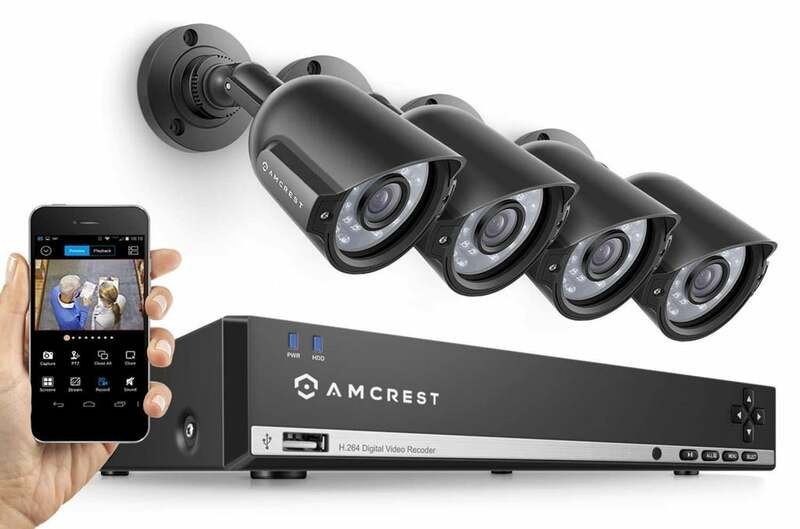 You can read about our favorite by clicking the link Amcrest 960H Video Security System Four 800+TVL Weatherproof Cameras system. Our review spells out in fine detail why we think it is your best choice, both in terms of quality and cost. This home security camera system retails for just under $240, and you can even get free shipping too. It will definitely address all your home security worries and family safety concerns. Protecting your home with a minimum of fuss and a maximum of peace of mind has never been this easy. It’s true, you could find basic security at a cheaper price, but what price do you put on the security of your home and loved ones? However, we do recognize that some of you might be on a tight budget, so we have researched the market and found two other video surveillance systems that, while not fully up to the high standard of the Amcrest 960H, are nevertheless very good surveillance systems that will provide you and your family with perfectly adequate security solutions. Our reviews of these two other systems, the Vimtag B-1 Outdoor Camera and the Arlo Smart Home Camera, are not as comprehensive as our review of the Amcrest 960H, but we still provide you with a good basic overview, enough to allow you to make your own judgment. NOTE: You may use the Table of Contents to jump straight to any particular topic of the review. What should you look for in an outdoor security camera? What Makes The Amcrest 960H Such a Robust Yet Simple System to Use? What is it like to use the Amcrest 960H? 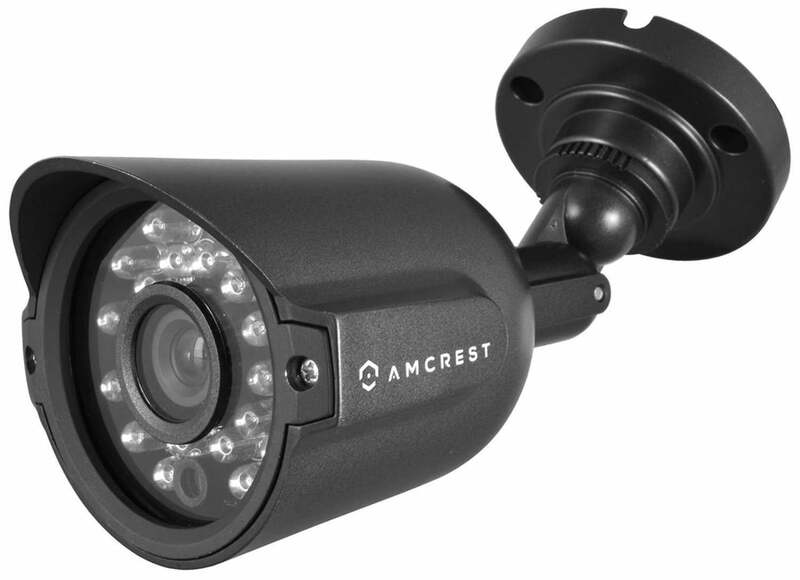 Where can you buy the Amcrest 960H Video Security System Four 800+TVL Weatherproof Cameras? Where can you buy the Vimtag B-1 Outdoor Wi-Fi, Video Monitoring, Surveillance Security Camera? Where can you buy the Arlo Smart Home – 1 HD Camera Security System? I gave this a lot of thought, and while your home set up may differ from mine, the basics of protecting your home, or any home, are likely to be pretty much the same. Here then are the most important features I was looking to find when I went shopping for the best camera security systems. 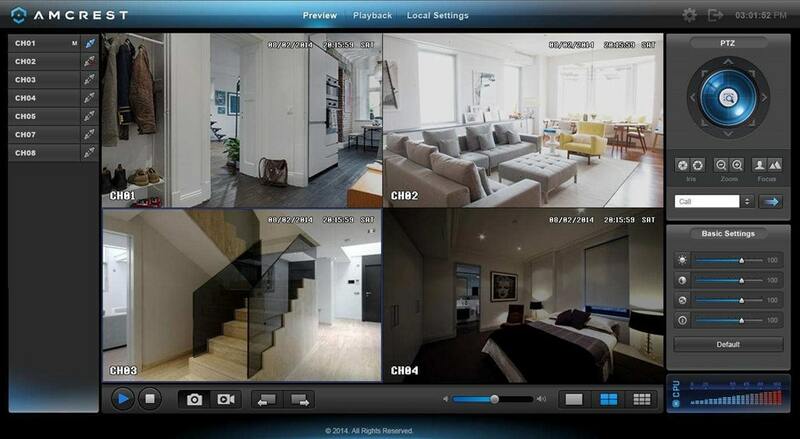 High definition resolution – a system that provides clear and sharp pictures for easy recognition of any intruder. Infrared detection to facilitate night vision – a system that can show good, clear images in total darkness. Motion detection – if anything moves when there shouldn’t be anything there to move, you need a surveillance camera that can detect it and record it. Remote viewing – with the aid of apps you can view on your ‘phone or computer what your security camera sees even when you are far away. DVR Hard Drive for Recording – in the digital age you need a solid state system to store digital images securely. This system is suitable for either business premises or home premises. It can also be used either outside or inside. The home security camera system consists of 4 High resolution heavy-duty metal-clad weatherproof cameras. That’s a lot of cameras for your buck. The camera system is highly visible, which in itself will act as a deterrent for any potential intruder. The camera lenses are surrounded by an array of 24 IR LED lights that come on automatically if the outside light levels are low. The range of clear vision extends for 20 meters, about 65 feet, from the cameras. The Amcrest Link app is included with this home security device to allow remote viewing. The system works on all Android devices, as well as on the iPhone and iPad. This gives you complete control over the system, whether you are at home, or on the other side of the planet. A 500GB Hard Drive is included, and this is enough storage space for six days of continuous recording. The hard disc can be expanded up to a massive three terabytes – six times greater than the basic drive. However, if you use a lower image resolution for recording, and you also use the motion detection facility, the basic 500GB disc will record for a full 30 days at least. If you need to back up your recordings, there is a USB backup feature built in to the system to allow this. Does it pass the test of being a robust and effective security system that you can trust? Yes, it does. It may not be the perfect home security camera system, but it’s close enough for most people’s needs – and at a price most people can afford too. 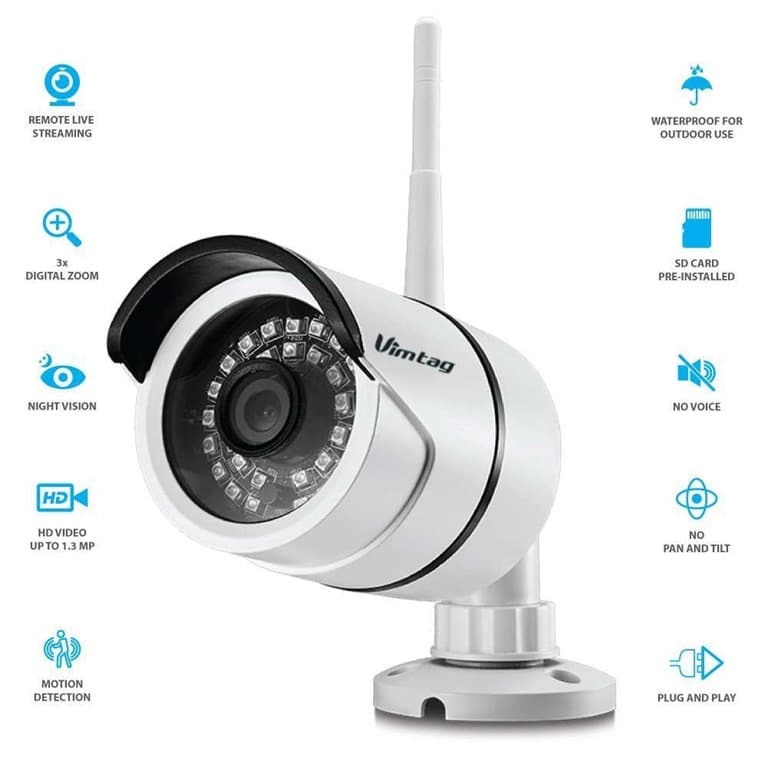 There are a few negative points to consider, and I will mention those a bit later, but all in all, if you want a trustworthy home security device that will give you peace of mind, this one will definitely do. Click the link to check the price on Amazon – Amcrest 960H. D1 is the traditional CCTV system. It has a 700 line density, which is crisp and clear. The Amcrest goes further, a lot further to a 960H video security standard – a 34% resolution increase over D1. At 30 fps, this provides one of the sharpest, brightest and clearest pictures you will ever find in a CCTV system. Setup with the Amcrest 960H is easy and quick. 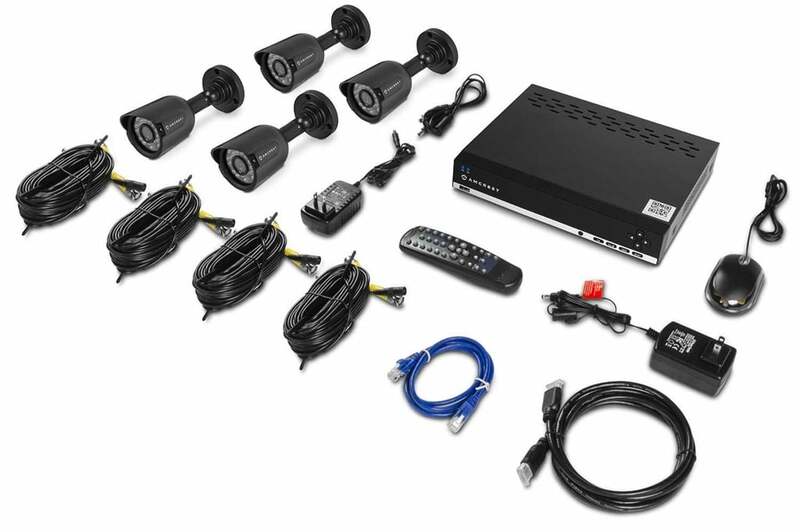 It’s a plug-and-play system, thanks to a direct point-to-point connection with the DVR. The system is also backwards-compatible with previous systems, making it a surveillance system that is easy to use, lacking all that mind-bending complexity that usually goes with this kind of technology. The cameras and DVR unit are encased in strong weather-proof heavy-duty metal that can withstand the worst that nature can throw at it. The Amcrest 960H is built to last. Come wind, rain, hail or snow, the Amcrest 960H can be relied on to provide outstandingly reliable home surveillance and security, at all times to allay any family safety concerns you might have. Your Amcrest 960H comes in an easy to install kit form. You may prefer to consider professional installation for your home security camera system, but if you like DIY, then you can most likely do the installation yourself. If you plan to install the system yourself, then read the manual thoroughly first. It’s a user-friendly manual that will guide you painlessly through the whole set up. Bear in mind that installation of your Amcrest 960H video security system will take a bit of time. Don’t try to rush things, so set aside plenty of time to get the job done, and choose a day when the weather is fine with a forecast of no rain, sleet, or snow, or high winds. The assembly kit comes with all the wires, cables and connectors, as well as fixing brackets, that you will need. You will require some tools, and you’ll have to do some drilling. This is a wired system, so you will have to plan the route of the various wires from your home to the surveillance system. From start to finish, installation should take you longer than two or three hours. Using the Amcrest 960H security system is easy. The manual is extensive and exhaustive in its instructions, but they are laid out in an easy to follow manner that avoids unnecessary confusion. You will also be pleased to learn that the controls of the Amcrest 960H are instinctive and intuitive, so expect to learn how to use the system quickly and easily. Remote viewing through either a PC or smart phone is possible through the Internet. You can simply view the camera output locally through a wired system if you prefer, and this will be an easier set up. With an Android or iOS device you need to download the free Amcrest Link App and set it up to work with the system. You can then check your home’s security on your phone from wherever you are, and at any time. Using the system from a home PC is just as easy, once it has all been set up properly. The screen can show all the individual camera views simultaneously. You can even set up the system to recognize unauthorized movement through its motion sensor, and send you an alert by email or a notification on your smartphone. The Amcrest 960H system is designed to perform in extreme weather conditions, so it is very robust and strong. However, you should perform regular maintenance on the system to keep it in the best possible condition, and to minimize costs. You should clean the camera lenses at least once a week. Take some time out about once a month at least to check over the whole system. Check for loose wires or cables. See that the mountings for the cameras are all secure, and generally see that nothing is broken or loose. It’s common for online stores to allow real customers to provide feedback by letting everyone know what they think of a product. These user reviews are extremely useful, and often affect other people’s buying habits. A good review will usually increase sales, while a bad review will slow sales down. For this reason it is important to know what other people are saying about the Amcrest 960H video security system. “the 60 foot cables are generally not long enough”. Different homes will need different lengths of cable. This is why I highly recommend planning where you are going to put the cameras before you start and buy additional cabling if required. It doesn’t cost much. “software is not as intuitive as I’d like”. This is not what most people are saying. The “out of the box” settings are fine for most users. The system is very flexible, which does mean there are a lot of options you can tweak. If you are going to play around with the setup, then I recommend reading the manual carefully before starting. “the only bad thing is that the cameras are not wireless”. This is an outdoor camera transmitting video from up to 984 feet away. A home WiFi will not work at these distances. “image is clear, but faces and details are blurry”. The further away the subject, the less clear it will be. You will be able to see faces clearly of people who are at your front door. “don’t like that it only has VGA and not HDMI, wish it had both”. I don’t know if this person had an older version, but it does have an HDMI port. 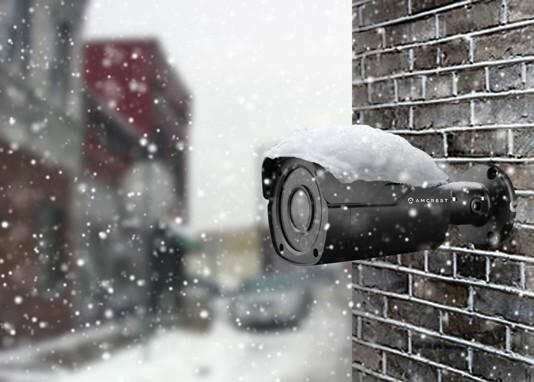 The Amcrest 960H camera security system is extremely robust and strong, and will survive in the worst of bad weather. It has night vision capability up to 65 feet away. It also has motion detection capability, and can even send you an email alert if it detects unusual activity. It has a large storage capacity with the ability to save more than 30 days of recording time when using motion detection. The system also has a remote viewing facility for either PC or smart phone. An important point to note is that although this camera is high resolution, the video is only 480p, which is standard definition and not high definition. The disadvantage is that you get less picture clarity, but it is more than adequate for an outdoor security camera. The advantage is that the video takes up less disk space, and it requires less internet bandwidth when you’re a viewing footage remotely on your smartphone. The system is easy and relatively quick to set up and install. The manual is well laid out and very comprehensively written. The installation kit includes all the cables, wiring, connectors and mounting brackets you will need. It is available from a number of well respected stores, but we found Amazon to be the best place to purchase the Amcrest 960H. They have a super-saver free shipping offer that is hard to beat. This means that when you buy through Amazon, the price they state is all you will be expected to pay. Amazon is also one of the most respected and best known of all the online retail stores. Amcrest has their own store on Amazon so not only do you get a 1 Year US Warranty plus Lifetime Support from Amcrest, it is also underpinned by Amazon’s own excellent returns policy. The Vimtag B-1 is a robust home surveillance security system that is simple to set up and use. It has night vision and can send alerts when it detects unusual movement. It also has remote viewing capability and a pre-installed 32 GB micro-SD card for data storage. It does have a Wifi option, but if it is positioned any distance from your home, then it is unlikely you will be able to make use of it. This unit is less expensive than the Amcrest 960H to purchase because it is only a “one camera system” whereas the Amcrest setup above comes with 4 cameras and a DVR. However apart from that, the Vimtag B-1 is quite capable of providing all the home security through easy home automation that you will reasonably need. If you only need one camera, I would go for this unit. The Amcrest 960H is one of the most weather resistant home security systems we have found, and while the Vimtag B-1 is also well weatherproofed with an IP66 rating, it doesn’t quite match the quality and robustness of the Amcrest 960H. The Amcrest 960H is well ahead of the Vimtag B-1 in this respect. It comes complete with a DVR which has a 500 GB disk, while the Vimtag B-1 comes with just 32 GB micro SD card. The Amcrest 960H offers 480p standard-definition video which is not as good as the Vimtag B1, but it is good enough. The Vimtag B-1 offers a HD video quality of 720p. Both systems score roughly the same in this respect. They both use the Internet for remote connections and in the case of using a smart phone, they both use an app. Set up and use of the app is broadly similar and effective too. The Vimtag B-1 scores better in this respect. It can send push notifications to your phone the second something happens, while the Amcrest 960H relies on email alerts. The Amcrest 960H has a fixed wired connection to the home router, while the Vimtag B-1 uses a wireless Wi-Fi route. Both work perfectly well, and the wired connection is arguably more secure, but in today’s world it is likely that most people will prefer a wireless connection. Although the Vimtag scores high with regards to video quality, push notifications and the WiFi option I still prefer the Amcrest model. The reasons why are; I wouldn’t use WiFi for an outdoor camera because the signal strength will be very weak, I’m perfectly happy with standard-definition video and the Amcrest gives you more for your money. You can buy it from many reputable online stores, but we found that Amazon is the best place to purchase the Vimtag security system. With Amazon you will also get free delivery. The Arlo Smart Home – 1 HD Camera Security System is priced between the Amcrest 960H and the Vimtag B-1 systems. It is suitable for indoor or outdoor use, and it has night-vision capability. Like the Vimtag B-1 system, it is also WiFi in operation. It is different from the other two cameras in that it is powered only by a battery which lasts about one month. This makes it the only totally wire free option. The Arlo Smart Home is weatherproofed to a perfectly adequate degree, but like the Vimtag B-1, it lacks the sheer strength and robustness of the Amcrest 960H. Unlike the other two systems, the Arlo Smart Home has no hard disk attached. Instead, it can record and store activity in the cloud, and you get 7 days free storage but if you want more than this then you have to sign up to a plan and pay a monthly fee. The Arlo Smart Home offers HD 720p clarity images, which is the same as the Vimtage and more than the Amcrest. Both the Amcrest 960H and the Arlo Smart Home offer remote viewing through a dedicated app via the Internet. Both system work well and are very easy to use. The Arlo Smart Home offers unusual activity alerts through real-time emails, as well as through push notifications to the dedicated app, making it more useful in this respect than the Amcrest 960H. The Arlo Smart Home has its own “patented 100% wire-free design”. This is the exact opposite of the Amcrest 960H which is a fully wired system. My views on this camera are very similar to the ones I have for the Vimtag. I will go one step further and say I don’t think this is a serious outdoor security camera because you can’t connect an ethernet or power cable to it. It is also high maintenance with having to replace the batteries every month. However, I think it is a very good portable camera. If you wanted to set up, an outdoor camera and have it in place for a short period of time, then you won’t find a simpler solution than this one. You can find the it in many online stores, but we found that Amazon is the best place to purchase the Arlo Smart Home camera system. They are a highly respected and trusted company, and they offer free shipping when you purchase, so the price you see is what you pay. i have picture on camera but want wifi for outdoors live view is hokes up to routher? If that’s what you want, then you need the Arlo Smart Home camera. It’s Option #3 above.